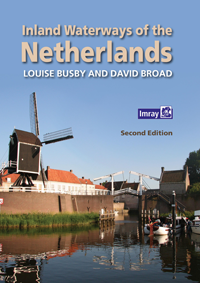 We've just published the second edition of our popular guide to the Inland Waterways of the Netherlands. It's been updated with many amendments to plans and text, plus a number of new photos. The authors' website, www.inlandwaterwaysofthenetherlands.com, is an excellent companion to the book with links to many additional resources. Click here for more information and to buy a copy.